More from the weird web department… can anyone guess who’s remaindered links I am plundering?? 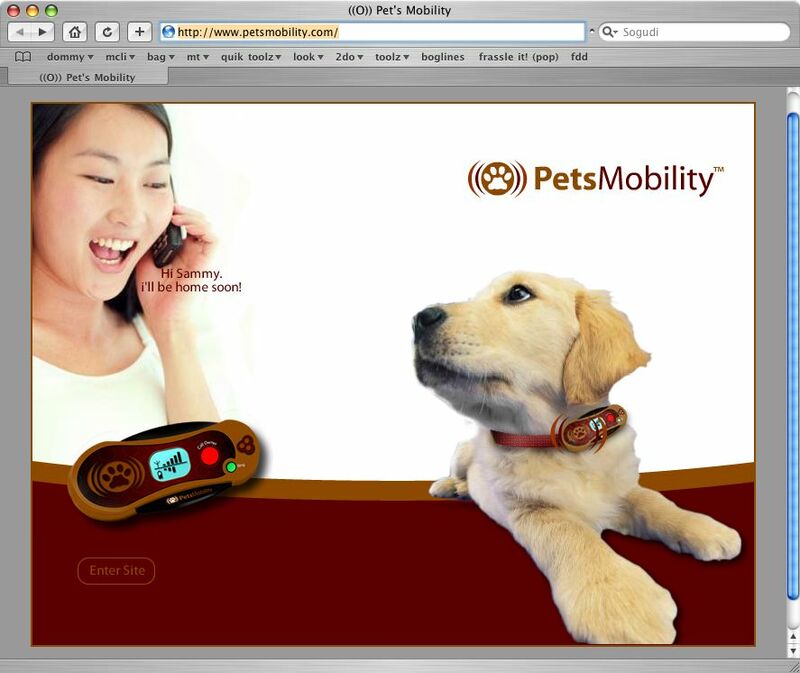 PetsMobility™ has the first ever Cellular Telephone for pets and will provide a full range of wireless communication hardware and accessories for the pet industry… The patent pending PetsMobility™ PetsCell TM will be compatible with existing cellular and satellite GPS technology. The PetsCell™ will allow pet owners to talk to their pets as well as allowing owners to request assistance should they become incapacitated and require help. In addition, and perhaps more valuable, pet owners will have a piece of mind that if their pet is lost and someone finds their pet wandering the streets, with a simple press of a button on the PetsCell™, the auto dial function will dial the owners home alerting the owner to retrieve their pet. (emphasis added) Wow, as a pet owner I thought I had a “piece” of my own mind already. So not only does Fido get their own phone number, you can call and chat with him/her any time. But what do I think if I get a busy signal? Should I opt for call waiting for the dog? It does not say if the dog gets voicemail, a camera phone, games, etc or if the dog’s phone is web ready. Only the best will do.